I had an idea for a giveaway and then my friend Morgan helped me expand my idea into an even better giveaway. It’s not happening today but…. by next week. Meet me back here and I’ll explain! 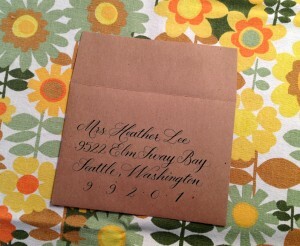 Molly Margaret is calligrapher who specializes in custom work via her online shop, Esque Script Calligraphy. 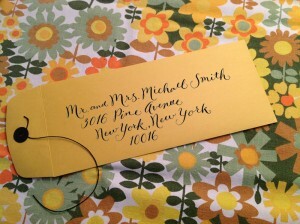 When she’s not out hunting down vintage postage stamps, she’s holed up in her Nashville, Tennessee studio creating custom artwork, wedding invitations, envelope addressing, signage and more. 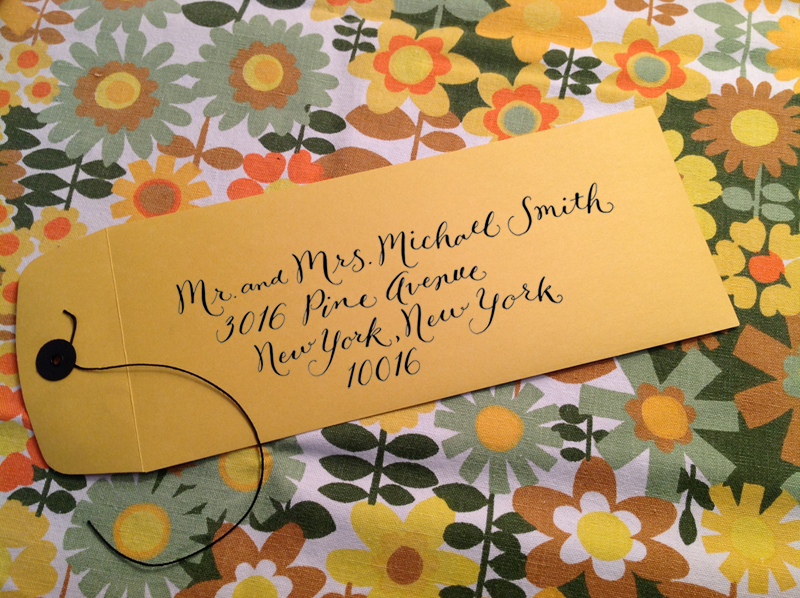 Molly’s favorite thing about calligraphy is finding creative new ways to add the personal touch of hand lettering to every special occasion. Welcome to Esque Script! I create unique hand lettering and decor for all kinds of events and occasions. I’ll work with you to design a beautiful product that truly reflects your personality and who you are – hence the name Esque Script! From weddings to themed parties and beyond, I provide addressing, invitations, event signage and more to make your special occasion truly “in the style or likeness of” YOU. Thanks so much for checking out my page! Contact me at molly@esquescript.com – I’d love to hear from you.